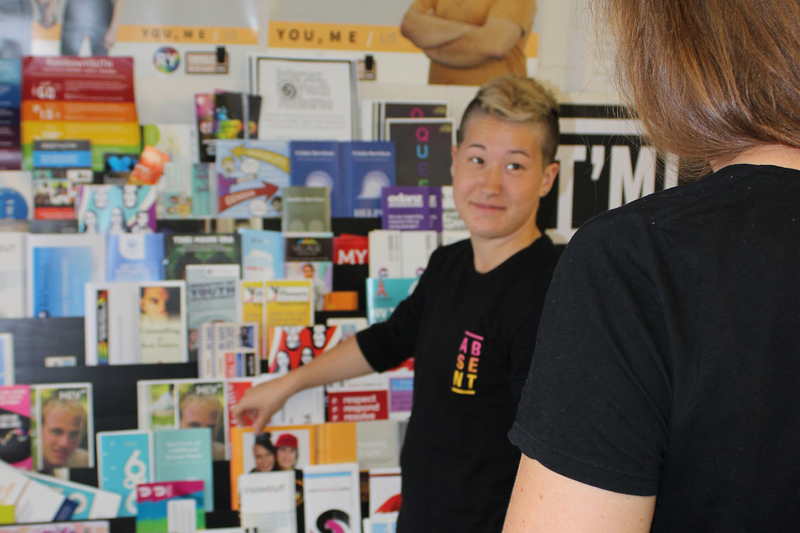 RainbowYOUTH drop-in centres are a safe space to hang out, access our services or attend an event. There’s always someone here to answer your questions and there are tons of things to do while you’re here. Super colourful! One end of our centre is pretty boring - lots of people answering emails and sitting in silence. 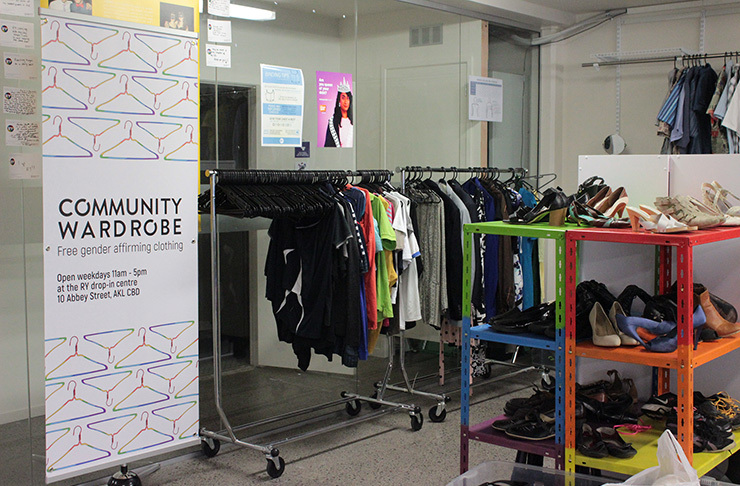 But our drop-in space is where the life is - we always have visitors accessing our Community Wardrobe, coming in for a cuppa, watching a movie, using our free wifi or hanging out with our interns. 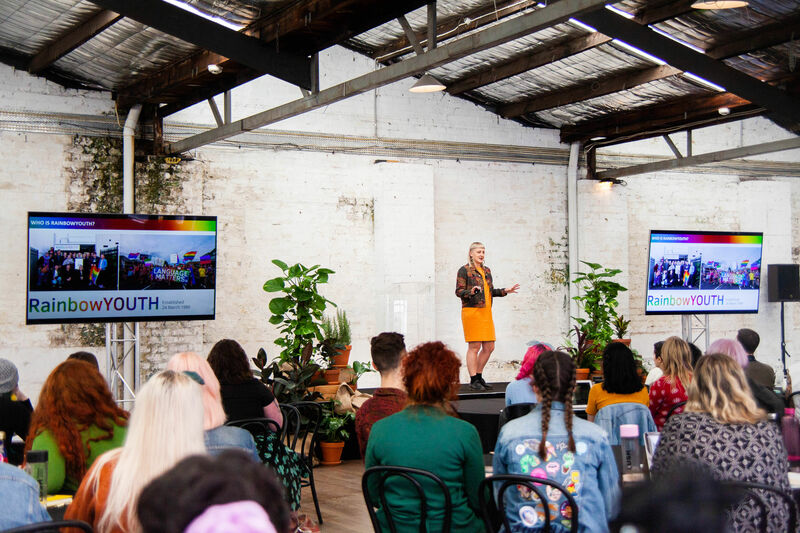 Coming to RainbowYOUTH for the first time can be pretty nerve racking and building the courage to come along can sometimes take a wee while. Whether it’s at a group, an event or to check out our drop-in centre, there’s always someone here to welcome you and show you around. 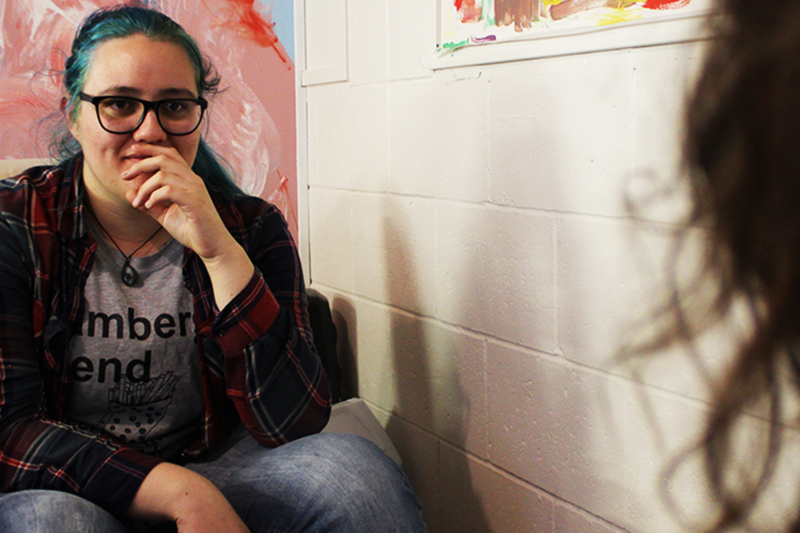 Chances are you won’t be the only new person to the space, and we’ve all been there! 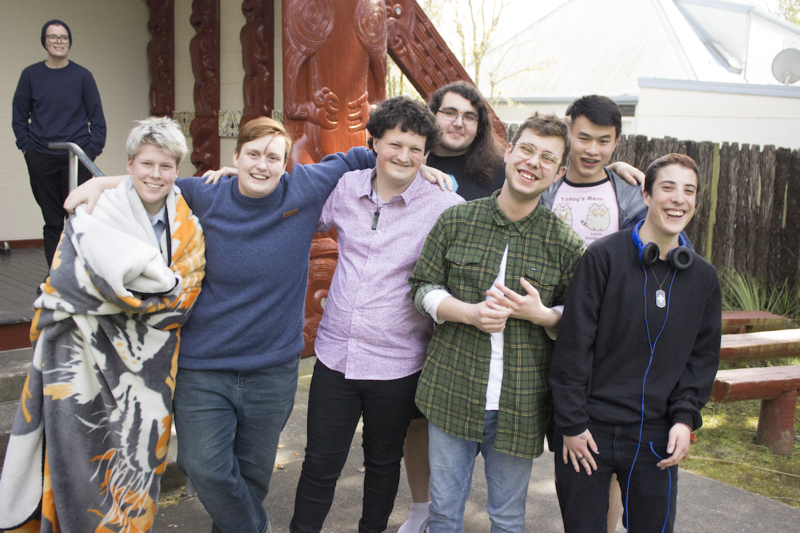 Our drop-in centre is open to queer and gender diverse youth 27 and under, their friends and whanau, and the communities that support our young people too. 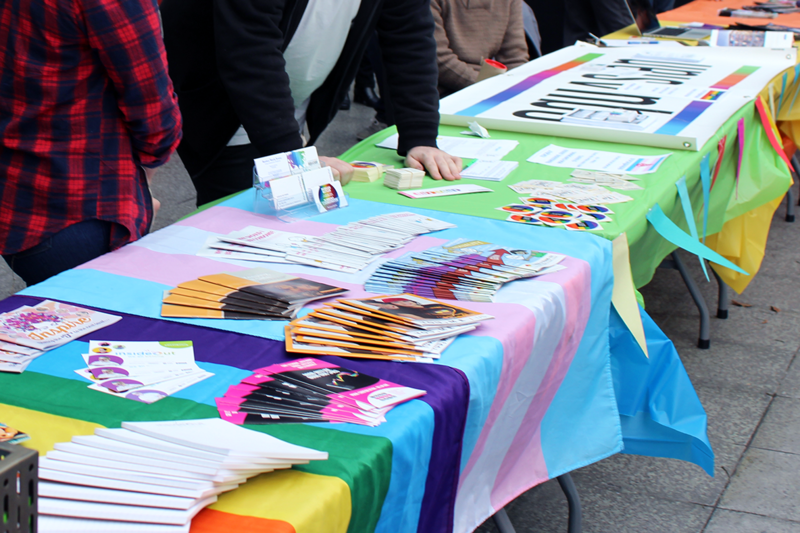 Our services aren't only for “out” queer and gender diverse youth too - if you're unsure about your identity, this is just as much your home as it is ours! The easiest way to get to our Auckland drop-in centre is on the green Inner City Link bus! Jump off at the K Road Overbridge or outside Studio One on Ponsonby Road. 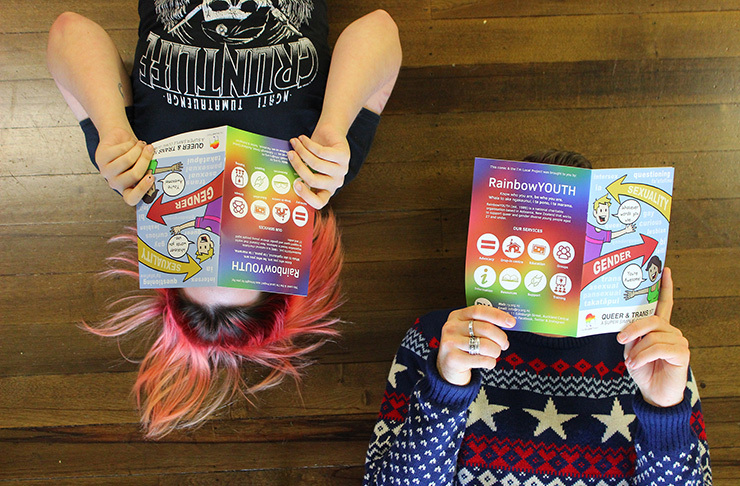 We’re just off K Road so keep an eye out for the big RainbowYOUTH sign! 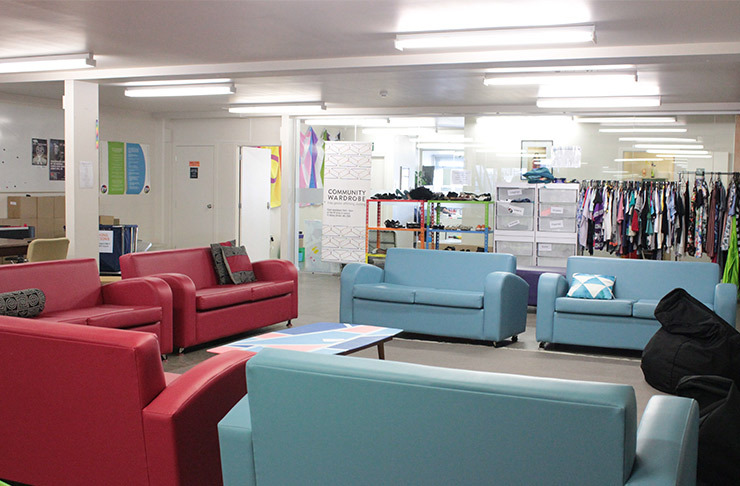 Rooms in our Auckland drop-in centre are available to be hired out. See below for individual rooms and the costs to hire them. These prices are negotiable, so if they don't work for you please get in touch with us (info@ry.org.nz) and we can work something out. Bookings of these rooms can be made via the form below. We will then get in touch with you to organise payment details, health and safety information and access instructions. This space is suitable for community events, meetings and workshops. We usually hire this space out at $30 + GST per hour. This room is suitable for meetings, research interviews and workshops. We usually hire this room out at $15 + GST per hour. This room is suitable for counselling meetings, research interviews and supervision sessions. We usually hire this room out at $20 + GST per hour.